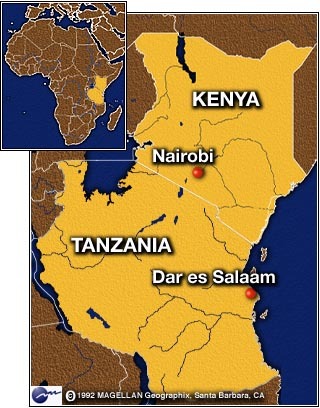 March 8 and 9 we will be traveling to Dar-es-Salaam along with Naomi and Jeri. 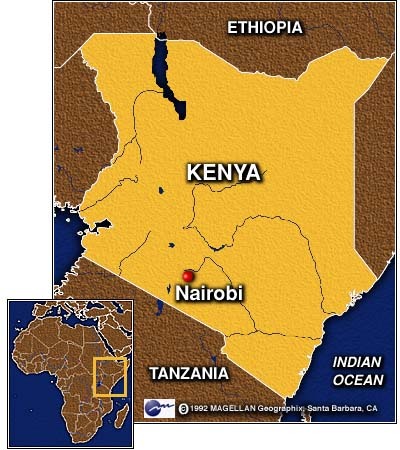 Brad, Naomi, and Jeri will be going to Dar for the Languages of Tanzania workshop; Tammie and the kids will take advantage of the trip as a chance to get to the beach since Yuda didn't get to go with us for our week of vacation to the beach just before he came to live with us. Basically, this workshop is a program of the Foreign Language and Linguistics department of the University of Dar-es-Salaam in conjunction with a University in Finland to get at least a word list (3000-5000 words) of all the languages in Tanzania, and then a descriptive grammar and a more in depth word list (10,000 words) in about 8 or 10 languages of Tanzania. The University hopes they can host linguistic researches from Finland, and Tanzanian students will get the opportunity to further their studies in Finland. But they recognize a word list of about 3.600 words already, and I am printing it out to distribute to Kaguru people. It is one way we can help in the languages where we are already working. It will also help us get acquainted with the Foreign Language and Linguistics Department at the University. Maybe in the future we could get surveyors or translators from students who have completed a Masters degree or need an internship to finish their degree, like do a few surveys with us or write a grammar of their own language. We will have a better report after we attend the seminar and find out what progress was made during the first year of the program. April 1-19 Brad will be in Nairobi with the 2 Kaguru translators for a workshop hosted by SIL called Introductory Course for Translation Principles. Brad will be a tutor or assistant for the program. Tom Matthews of SIL, working in the Sinza project in Tanzania, has translated most of the course into Swahili, so I wanted to sit through the entire course once in English, then later I will assist the course translators in Swahili somewhere in Tanzania, and then I will be able to teach the course in Swahili. Many translators from Tanzania cannot comprehend the courses offered in Nairobi because their English is not good enough, so the Swahili version is being developed. In the Kaguru Program, here is a brief update. Bishop Chitemo, moved to Dar on Saturday, March 2. His wife's health is a constant concern, and they have been advised to move to Dar to test the different environment on her health. They have a house for a year. He wants to keep translating and send his manuscripts to Morogoro for they keyboarder to input. But the translation consultant doesn't think he should continue as translator from so far away. So this situation still needs to be worked out. We've given one of our donated computers to Benjamin Mkuchu, the translator / Roman Catholic Priest who is the Chaplain at Turiani hospital, about 2 hours away from Morogoro. Even though it worked fine at my house, when he got it, it wouldn't turn on. The battery and cord are both fine, so there must be a problem inside. He is continuing to translate part time. We are also considering a Baptist preacher who might be the third translator, Michael Nhonya. It depends on what the translation consultant, Dr. Dapila in Nairobi, things about his level of education. I am also waiting on some answers from the Baptist seminary in Arusha to give me an evaluation of how their degrees compare to Secondary school and University degrees in order to be better gauge Michael's qualifications. Brad has been involved in a lot of E:Mail communications concerning the Duct compound sale where we've obtained the highest bids on 5 houses, but we are hearing rumors that the organization involved are looking for loopholes to declare some of the bids (most of ours) insufficient and unacceptable. We've spoken briefly and unofficially to a few lawyers who say they can't deny us the bids we made and won. We've remained calm and unworried, knowing that the Lord is working this out every stop of the way as attested by the fact that sometimes we literally received paperwork from government offices the same day we are requested to present said paperwork in support of our bids. Please continue to pay this project through to the end. On the family side of things, Yuda is making marked improvement in his attitude about doing homework and some signs of stress or unsettledness that he was exhibiting have just almost completely disappeared. Having all three kids in school has helped us to get our schedule regularized, so we are actually enjoying feeling like we are getting more accomplished ion a daily basis without being pulled in so many different directions. Bradley (Bunkie) wants to be baptized at the church we are attending here. However, with travels for the next couple of weeks, it gives us some time to spend with him more in depth study. We offered for him to be baptized in the Indian Ocean this weekend, but he wants to be baptized at the church there. So you can rejoice with us in his decision; maybe it will work out for him t rise in his new spiritual life on Easter Sunday when we celebrate the anniversary of our Lord's resurrection! Bradley will turn 7 on April 13th and Morrie will turn 3 years old on the same day. We also have our annual Branch meeting coming up the third weekend in April (just after Brad gets back from his Nairobi, Kenya seminar). Please be praying for the preparations for this meeting and the meeting itself. In the meantime, have a very blessed Easter!!! !